November 10, 2018 - The Quad City Storm supports Healing on the Fly. The Storm is offering discounted tickets and portion of the ticket sales will be donated to Healing On The Fly. Come Out on veterans day and enjoy our local hockey team and support our local veterans. Purchase tickets here! Once you click the buy now button select your paypal account or select debit or credit card - fill in your address so we can mail your tickets to you and your email so we can confirm receipt. Aspen Dental will be providing local veterans with free dental care on Tuesday, May 8. Our MouthMobile (a dentist's office on wheels!) will be parked at the address above. The event runs from 9am-3pm. Join us for appetizers and a cash bar and visit with our exhibitors, meet old and new friends and colleagues to wrap up the day. 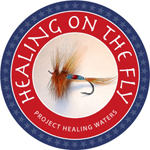 We will also have a Wine Pull to raise funds for Healing on the Fly, a local Quad Cities Veterans non-profit support organization that assists with reconnecting veterans to civilian world. Buy a chance to help, and take a great bottle of wine home! WHO SHOULD ATTEND AND WHY! Are you in Construction, IT, Manufacturing, Manufacturing Support, Logistics or Professional Services? The 2018 Midwest Government Contracting Symposium is in its 11th year in the Quad Cities. This event has evolved over the years from a focus on small business towards a focus on all businesses interested in government opportunities. It has become the single most important conference for all businesses to gain insider knowledge and tools to best prepare them for government opportunities with organizations on the Rock Island Arsenal. Companies and Government agencies attend to share information on the current issues surrounding government contracting. Expert panels comprised of industry and government personnel will share real world scenarios and best practices; and small businesses, government agencies, and government prime contractors have the opportunity to network and connect to identify business opportunities. This two-day event will not only provide the Advanced Planning Briefing for Industry for organizations located on the Rock Island Arsenal, but will also be an opportunity to learn and connect in ways that will help businesses acquire the skills and information they need to increase revenues and goals.